Between installation costs, chemicals, covers, filters, and other maintenance accessories, owning and maintaining a pool can be a costly hobby without bothering to heat it. 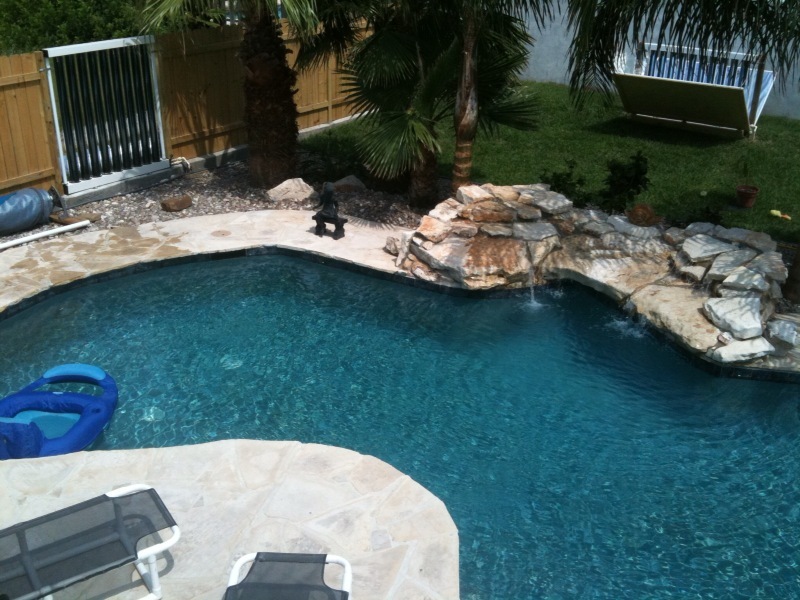 Get the most out of your investment in a pool with the help of GLE Solar. By circulating the pool water through heat exchanger, you can enjoy an extra source of concentrated heat for your swimming experience. An installation can be optimized for a 10-15oF increase in pool temperature, or more modest increases can be achieved with a different number of collectors or a different flow rate. When paired with a variable speed pump, you can choose the flow rate that works best for you. Our units can accommodate household pools, community pools, hot tubs, recreation centers, and water parks, whether indoor or outdoor. When used to heat an outdoor pool, GLE Solar products can extend your annual pool use by several months. See the sizing calculator to determine which panel configuration will serve your needs.